For 2016 the Netherlands reported an incident which was classed as an act of right-wing terrorism. This marks a significant decrease compared to 2015, when a total of nine right-wing terrorist attacks were reported by France and Greece. Poland, Germany and the Netherlands reported a total of 12 arrests related to right-wing terrorism. In February 2016 six individuals were arrested in connection to an arson attack on a mosque in the Dutch city of Enschede. At the time of the attack several people were inside the mosque. They detected the fire which was extinguished quickly and nobody was injured. The group was charged with attempted arson with terrorist intent. The court later decided this was a terrorist attack. Four attackers were sentenced to prison terms of several years. This decision marked the first (failed) right-wing terrorist attack in the Netherlands and the first terrorist attack in 12 years. Germany stated that after the investigation into the National-Sozialistischer Untergrund (NSU, National Socialist Underground) in 2011, additional investigations into groups such as the Old School Society in 2015 and Gruppe Freital (Freital Group) in April 2016 demonstrated that the formation of right-wing terrorist structures cannot be excluded. With regard to Gruppe Freital, police searched 20 houses in the federal states of Saxony and MecklenburgWest Pomerania in April. Five suspects were arrested and charged with membership of a terrorist organisation, attempted murder and the detonation of two explosive devices at two asylum seeker homes in Freital, as well as another one at an ‘alternative living project’ (commune) in Dresden. Similar to previous years a majority of EU Member States have no indication that terrorist methodologies or tactics have been adopted by their right-wing scenes and considered the threat from (violent) right-wing extremism (RWE) to be low. The scene is described by most Member States as fragmented, lacking consistent leadership and organisation, and suffering from internal conflict. However, in some EU Member States the right-wing extremist scene increased its activities to a level causing concern to authorities. Confrontations with political opponents continued and xenophobic offences became more violent. 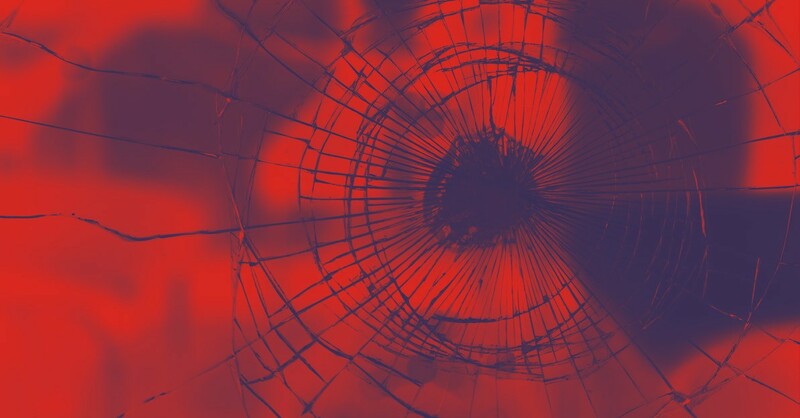 Numerous RWE-motivated attacks have been committed by loosely coordinated networks/groups or individuals not necessarily linked to a known RWE group or party. This underlines the threat from lone actors and small groups in or outside the scene. against migrants and migrant shelters throughout the reporting period. In addition, it was stated that Germany faces an increasing amount of first-time offenders who were previously unknown to authorities as extremists. 61 incendiary devices; 10 violations against the explosives law; 4 cases in which an IED detonated in or at an asylum shelter. The crimes against asylum accommodation have at times shown the modus operandi of a well-organised group, however they have predominantly been committed by individuals and small groups. A high number of perpetrators of these attacks remain unknown. The migration phenomenon affecting the European continent and the perceived threat from Islamisation remain key topics on the RWE agenda and have been used by the right-wing scene to induce public opinion to adopt its xenophobic and Islamophobic position. These topics are exploited to spread fear and concern. Events such as the Paris attacks in 2015, Brussels and Berlin in 2016, as well as the sexual assaults during New Year’s Eve 2015/2016 in Cologne, serve as justification for xenophobic offences. In addition, the Netherlands and Germany reported cases of vigilantes (showing affinity with the right-wing scene) who claimed that the authorities were unable to protect society from these threats. These vigilantes appear at times in ‘civil patrols’ in their local districts. This phenomenon was previously observed in Finland in 2015. Germany, among other EU Member States, has reportedly experienced high numbers of attacks on refugee shelters since the start of the migration crisis in 2015. Resumption of border controls and improved checks led to decreasing numbers of newly arriving migrants in 2016. Nonetheless, xenophobic and racist criminal acts increased both in number and level of violence. In June 2016, the UK voted to leave the EU and as a result, a significant number of Brexit-inspired events were held across the country in the run up to the voting date of 23 June. There was a sharp increase in the number of racially or religiously aggravated offences recorded by the police following the EU Referendum. The number of racially or religiously aggravated offences recorded by the police in July 2016 was 41% higher than in July 2015 . Negative online commentary towards migrants, refugees and foreign workers has increased and continues at a higher level than previously seen. The threat from extremists in the UK was realised on 16 June, when a British Labour Party Member of Parliament was murdered by a lone actor, shortly before she was due to hold a constituency surgery for the UK to remain a member of the EU. In Germany politicians continue to be the target of an increasing amount of harassment and threats (There was a near-fatal knife attack on a mayoral candidate in Cologne in 2015). According to figures collated by the German government in regard to current members in the German national parliament (Bundestag), incidents against politicians reached an all-time high in 2016. These included physical attacks, but also non-violent incidents such as damaged offices, spray-painting of unconstitutional signs on politicians’ houses/offices, or harassment via the internet. Politicians advocating pro-refugee policies and active against rightwing extremism were more likely to fall victim to such attacks. In 2016, in addition to existing far-right or extremist groups, a number of new ones were founded and several others banned. in the federal state of Bavaria when they attended his premises to confiscate his weapons. Already in August, a member of the same movement shot and injured a police officer during a house eviction. The Reichsbürger (Empire’s citizens) movement comprises an estimated 4500 supporters. It consists of either small groups or single individuals, who deny the legitimacy of the Federal Republic of Germany and assert that the German Reich continues to exist in its 1937 pre-WWII borders. The German anti-Islam movement Patriotische Europäer gegen die Islamisierung des Abendlandes (PEGIDA, Patriotic Europeans against the Islamisation of the West) appears to have lost momentum, having previously attracted thousands of people to its demonstrations. In 2016 EU MS noticed a decrease in people identifying themselves with PEGIDA. In December the UK proscribed the group National Action (NA), the most active and well organised RWE group in the country. This is the first time a RWE group has been proscribed in the UK. In 2016 the group increased its recruitment campaigns and attendance at other RWE groups’ events, compared to previous year. MS investigations throughout the last few years have consistently confirmed that the RWE scene has access to weapons. Although the majority of these weapons appear to be knives and other cut-and-thrust bladed weapons, at times firearms were also seized. A few EU MS mentioned the use of improvised incendiary devices (IIDs) and improvised explosive devices (IEDs) to commit an attack. In Germany the significant increase of such attacks, as well as of seized precursors for these devices, came in conjunction with a continued escalation in violence connected to the migration phenomenon. The use of the internet has maintained its importance to the right-wing scene with regards to radicalisation, recruitment, mobilisation and networking. The migration phenomenon and the jihadist terrorist threat have dominated social media and forum conversations within the right-wing scene. Most hate postings are on the edge of lawful expression of opinion and criminal incitement. Language is becoming more aggressive and hate crimes such as sedition, encouragement of crimes on minorities and migrants as well as disparagement up to threats towards representatives of the state, have significantly increased. These xenophobic and racist comments have even caused the closure of comment sections attached to articles of news and TV outlets. RWEs urge their peers to protect themselves or their organisation online so as not to jeopardise their activities. Several RWE websites have published guidelines giving advice on how to protect personal data and directions on how to communicate on the internet. On social media, RWEs have increasingly made use of closed or hidden groups. “Leitfäden zur Dokumentation bei Spitzelei und Anquatschversuchen”/ Guidelines for documentation in case of spying efforts and approaches“ – Rightwing extremists and their Internet Presence issued by the German Federal Office for the Protection of the Constitution/Bundesamt für Verfassungsschutz (BfV).